What Is A Carbohydrate and What Are Good Carbohydrate Foods? What Is a Carbohydrate ? And what are good carbohydrate foods? We have all heard of carbohydrates but what is a carbohydrate and what are good carbohydrate foods? Without going too scientific on you, carbohydrates contain the elements carbon (C), oxygen (O) and hydrogen (H), hence the name, and they are obtained from plants during the process of photosynthesis. Energy from the sun transforms carbon dioxide and water into carbohydrates. So there you have a concise carbohydrate definition. Ok enough of the boring science stuff. You want to know what are good carbohydrate foods. A typical everyday meal should contain a healthy balance of carbohydrates, fats and proteins. Simple carbohydrates - that is sugars to you and me. Complex carbohydrates - or starches to give them their common name. Glucose (the simplest form of carbohydrate) found in honey, fruit, vegetables and some soft drinks. Sucrose, found in fruit and vegetables and is often added to many foods and drinks to sweeten them. Commonly known as table sugar. Simple carbs release sugar into the blood stream quickly and therefore are not recommended for controlling diabetes, with the exception of fructose. 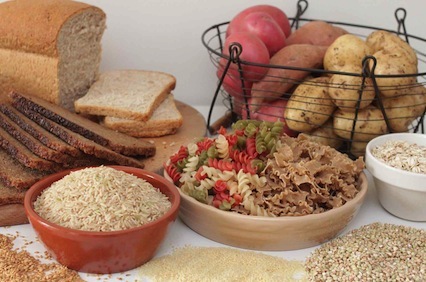 Known as starches, this type of carbohydrate is complex due to its structure. Starch is formed from thousands of simple carbohydrate molecules linked together in various configurations. Starches are found predominantly in cereal products (flour, bread, rice, corn, oats, and barley), potatoes, legumes and other vegetables. They are insoluble in water until they are heated or cooked and then the bonds are broken down between the glucose molecules when we eat them. Theses types of complex carbs are recommended for helping diabetics to control sugar levels and therefore control their condition. 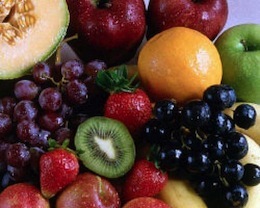 They are also recommended for helping to maintain a healthy heart as they contain little or no cholesterol. Enough of what is a carbohydrate? What is protein?